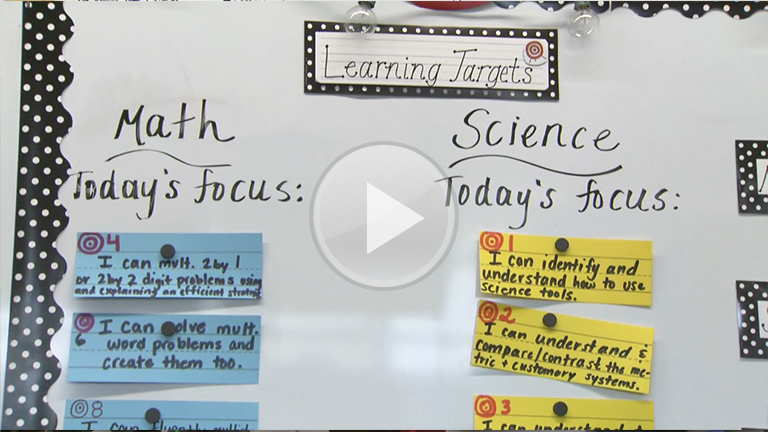 Step inside Mrs. Susie’s Grade 4 math class as she challenges students to take ownership of their learning, provide feedback to one another, and reflect on their learning targets to know what they need to work on to succeed. How do you currently help your students work through their mistakes and explain their thinking processes? How are your students involved in this process? How can you apply what you see Mrs. Susie doing to your own teaching and learning? Enroll in the Foundations of Formative Instructional Practices learning path.